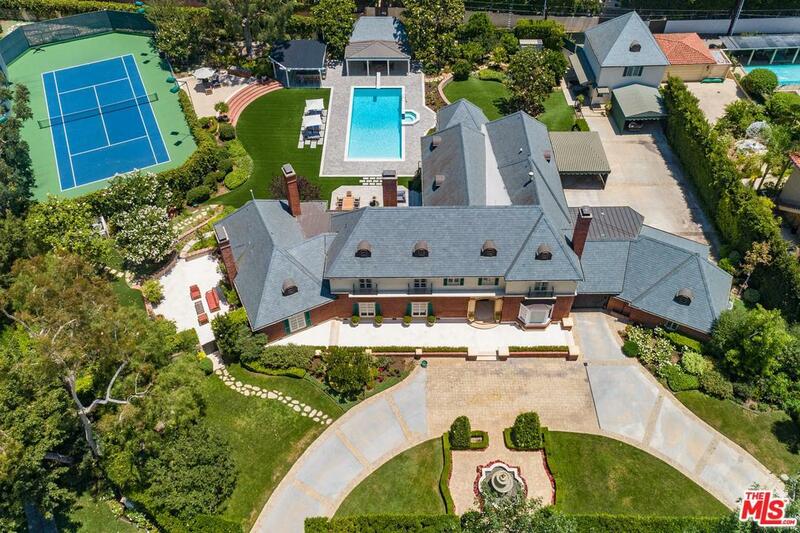 Legendary Beverly Hills Estate on 53,000+sqft lot. Sited on one of the largest lots in the flats of Beverly Hills. This trophy compound offers a beautiful lit tennis court, verdant grounds, large main house, pool house and guest house. A gated circular motor court sets the tone and sense of arrival. Built in 1935, the Georgian Traditional has a rich and illustrious pedigree. 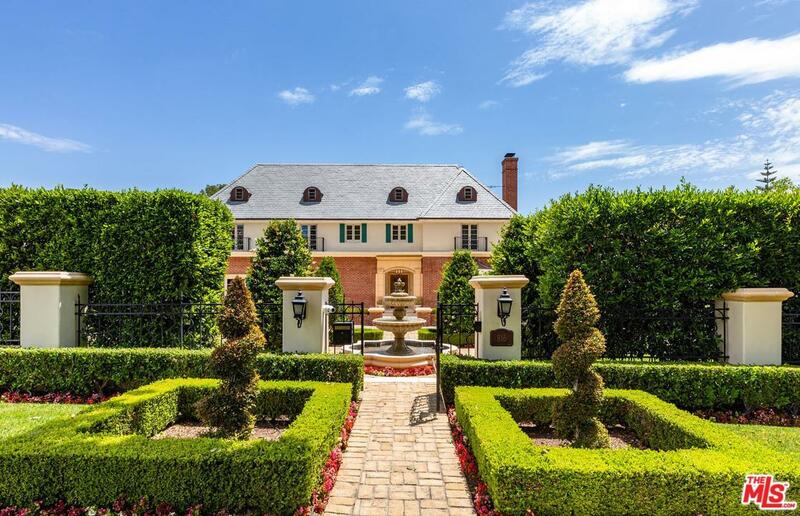 Encompassing over 7,600sqft the main house features high ceilings and classic proportions. Elegant entry hall with sweeping staircase, grand living room, massive paneled den that converts to a screening room, library with fireplace and large formal dining room. Gourmet kitchen with circular breakfast room. Spacious master suite features dual baths and walk in closets. Total of 7 bedrooms and 8 baths. Exceptional grounds include vast side motor court area with covered parking for 5 cars. One of kind. Shown only to prequalified Buyers. Sold by Subscriber Non BRE#01317962 of Non-Participant Office. Listing provided courtesy of Drew Fenton DRE#01317962 of Hilton & Hyland.